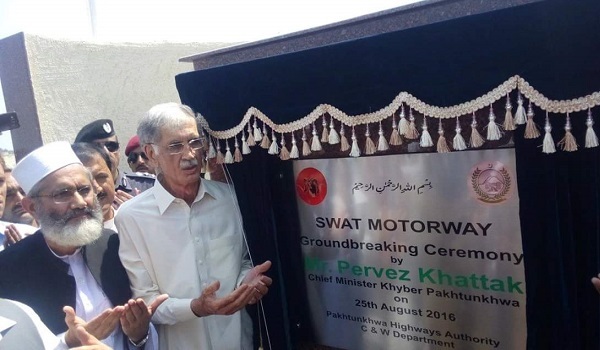 Peshawar: Khyber Pakhtunkhwa Chief Minister Pervez Khattak laid the foundation stone of Swat Motoway on August 25, 2016 according to a news source. Reportedly, the project will cost PKR 31 billion and will be completed within 18 months. The contract for the 81-kilometer long motorway project has been awarded to the Frontier Works Organisation.